Over the last several years Pinterest has rivaled big social media platforms like Facebook or Twitter. It has shown that it's been a big factor in helping expose businesses and boost conversions. It's no wonder big brands like Whole Foods Market, The Today Show, Sephora and Etsy are paying attention to this visual search engine. 47% of users have made a purchase based on a Pin. Delivers 300% more revenue per click than Twitter and 27% more than Facebook. The lifespan of a Pin is up to one week. The half-life of a tweet is 24 minutes. But don't think only big businesses can benefit from this platform. Bloggers, marketers and solopreneurs have seen huge traffic gains as a result of using Pinterest. Melyssa Griffin doubled her email list and traffic in three months by focusing her efforts on Pinterest. The same happened for Kristen of Believe in a Budget. Within three short months, she increased her traffic by 400% from Pinterest. If you're not sure how to set up your Pinterest account – or the best marketing tactics for Pinterest – use this guide to help you get started. If you don't already have an account, go ahead and sign up for a Pinterest business account. It's a free account, but the big difference between it and a personal account is the extra tools you get. Pinterest analytics gives you insight into pin behavior by keeping track of what content or pins your audience is engaging with the most, and what content is driving traffic and sales back to your site. After you sign up for a business account, the next thing to focus on is your profile. Since Pinterest is a visual search engine, people can easily find you as long as you optimize your profile. If you are a business, make sure to include your business name in the title and in the URL of your Pinterest account. Under your title, you want to briefly include who you are or what your business does, and then include a CTA. This can be your lead magnet or a link to a sign-up form. Adam Connell from Blogging Wizard included his VIP resources as his CTA. Another tactic to help get your profile more visibility is to make sure your Pinterest boards are visible in Google. To do this go to your settings and under search privacy you have the option to hide your profile from search engines. As a business who wants more brand exposure and traffic, it's advised you opt no for this. Finally, don't forget to confirm your website. There are two ways to go about it: using a meta tag or HTML file. By doing this you'll have access to website analytics. This shows you what pins people are pinning from your site and can give you some insight into what types of content your audience likes and craves. There are several ways you can get your pins noticed in Pinterest's smart feed. Let's look at pin descriptions and the images used to get you noticed. Each pin has a description under it that tells the user what your pin is about. The more information it contains, the better chance it has to be repinned. 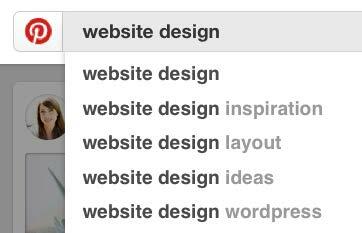 When creating your copy, make sure to include as many related keywords as possible. Pinterest doesn't use hashtags like you would see on Twitter or Facebook; rather they want you to stick to keywords. A good trick is to type in your related keyword in the Pinterest search box to see what popular suggestions show up. Use those keywords in your descriptions to get noticed. Other ways to optimize your descriptions is to make sure it's detailed, helpful and actionable. Including a CTA at the end of your pin – click here to find out more – increases engagement by as much as increases engagement by as much as 80%. Finally, you want to make sure you are enabling Rich Pins for your pins. These types of pins display extra bits of information to help businesses stand out and help boost conversions. For example, About.com increased their traffic by increased their traffic by 70% by using Rich Pins. Product Pin – Displays real-time pricing, location to buy, and availability. Place Pin – Includes the phone number, map and an address. Article Pin – Includes a bolded headline and story description. Recipe Pin – Displays the recipe, cooking time and information on serving size. Rich Pins also have your site's favicon displayed under your Pin, making it more visible in the smart feed. Pinterest is a visual social media platform, and what makes it appealing to many women and more and more men is the eye-catching images. There's a lot that goes into making a great pin stand out. Let's look at three elements to making a pinnable image. There are many sites with Creative Commons licensed images you can use for free, like Pixabay, PicJumbo or Pexels. Have an appropriate background – pins with a white, plain background are repined only a quarter of the time. Make sure you include a contextual background that makes sense. For example, if you have a food item, place it on a wooden table. Are light and colorful – vibrant pins receive more repins than darker, less vibrant pins. Don't have any faces – using faces in your pins makes them look a bit like a magazine cover and appears impersonal. When you don't include a face, you can bump up your repins by 23%. The best pins have text on them. Usually, it's the title of the pin, post or recipe. These pins are easier to spot when scrolling, and can mean the difference between clicking on through or passing over your pin altogether. The easiest way to add text to your images is to use a free online editing tool like PicMonkey or Canva. For more options, you can purchase Adobe Photoshop. It's offered through an affordable monthly subscription and with online tutorials, you'll have no problem making your images stand out on Pinterest. When adding text to your images, it's a good idea to also add your visual brand to your pins. This may mean using the same font family, brand colors and logo or site name in your pin. This makes it easy for users to quickly identify your Pin and the likelihood of a repin goes up when they know your brand is trusted and credible by the content you put out. Around 80% of Pinterest users view their boards on mobile. It's no wonder that vertical images dominate this platform. But how vertical should your image be? Ideally, the best pins have a ratio of 2:3. But, of course, the longer the pin is, the more of the feed it takes up, making it likely more people will see it. There are a few things you can do to make your website more appealing to Pinterest users. 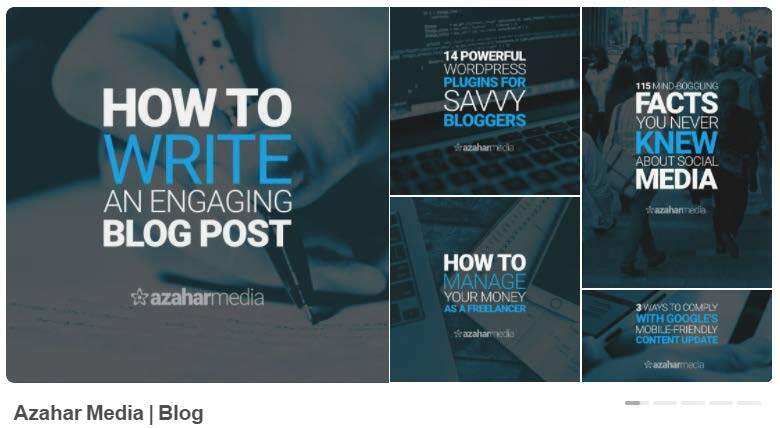 Aside from creating quality content with stunning visuals, here are three things you can use on your site to boost pinning. You can add a Pin It button on your site's pages to help increase your exposure on Pinterest. Visitors can pin images directly from your site and save it to one of their boards. By adding a Pin It button on your site, you can increase your impressions, repins and clicks dramatically. Allrecipes had a 900% increase in the volume of recipes shared. This also increased their social referrals. To encourage people to follow you – and thus more repins of your content – Pinterest has a widget option where it displays a board of your recent pins. 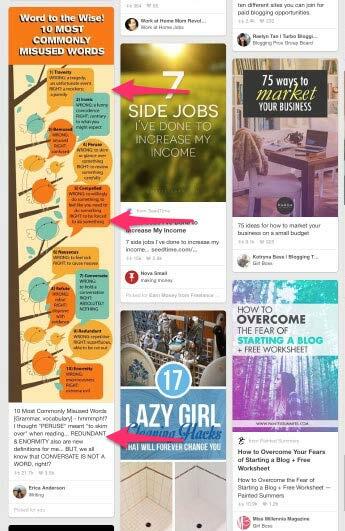 Erika Madden of Olyvia uses her sidebar to display her Pinterest widget to help encourage followers. Your brand and business won't get the exposure you want without having an optimized Pinterest marketing strategy. To maximize your efforts on Pinterest let's focus on the best times of day to pin, how much you should pin, and automate your pins. To increase your exposure on Pinterest, you'll need to be pinning daily. But when do you pin and what are the best times and days to pin? Contrary to other social networks, evening commute time is one of the worst times to pin and repin content. There's no set number to how many pins you should be pinning and repining but both Sarah Titus and Social Media Examiner suggest between 20-30 times a day. Remember to not just pin your own content. Pinterest favors well-rounded users that pin useful information, whether it's yours or not. So, make sure to follow Pareto's 80/20 rule – pin other people's content 80% of the time and your content only 20% of the time. To take all the guesswork out, invest in an automation tool to pin your content at the best and optimal times. Automation tools like Tailwind can help you schedule your pins for the day or week, freeing you up to focus on your business while Sendible can help you schedule social media posts to other key networks. These tools know the best times your followers will be on Pinterest and will pin on your behalf at those times. Most people don't view Pinterest as a social tool, but it is. Through the use of group boards, you can network with colleagues in the same niche as well as reach a new audience and increase your exposure. Let's look at what and how to join group boards and how to create a group board. Group boards can seriously explode your traffic. And it has for many entrepreneurs. A Pinterest group board is a community board where other pinners can pin to that board. Simply joining a popular group board can increase your followers, exposure and traffic back to your site or landing page. To find a group board, you can check out other pinners' boards and see what groups they belong to or you can search in PinGroupie. 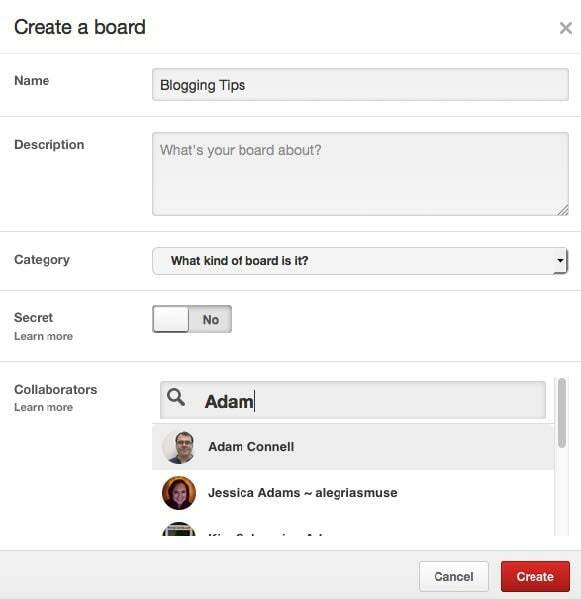 Another way to generate more traffic and exposure to your business is to create your own Pinterest group board. While it's easier to just invite others to your existing boards, you might find it better to create a board specifically for collaboration. In both cases, go through your list of followers and invite anyone that you would think could provide value to your group board. Using Pinterest is one of the best ways to get your site noticed fast. By optimizing your profile and images, you'll attract more followers and traffic back to your site. As well, using an automation tool like Sendible or Tailwind can ramp up your pinning strategy and free up time to handle other business-related matters. Finally, by investing in group boards you can be assured that you will reach more people every day, giving you a better chance at growing your exposure. Over to you – have you started using Pinterest in your marketing strategy? 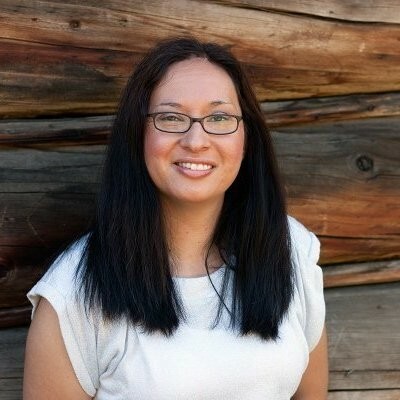 Elna Cain is a freelance writer who offers ghostwriting, copywriting and blogging services. 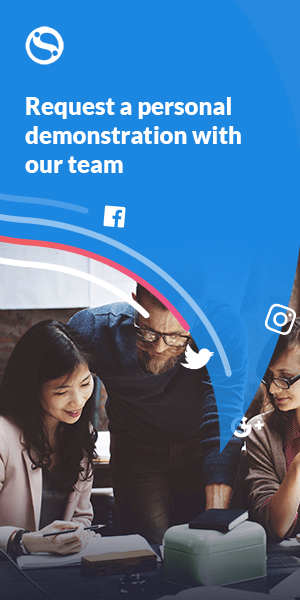 She works closely with B2C and B2B businesses providing digital marketing content that gains social media attention and increases their search engine visibility.